Ukrainian businessman Oleksandr Yaroslavsky’s DCH Group has completed its payments to Russia’s Evras for the acquisition of the Sukha Balka ore mining and processing plant, according to details published by Evras. The final payment of USD 15 million completes the estimated USD 109 million acquisition of the Kriviy Rih region industrial asset, purchased by Yaroslavsky in line with a May 2017 agreement. Evras company reports also confirm Yaroslavsky’s acquisition of another of the Russian group’s Ukrainian assets – the Dneprovsky Metallurgy Plant (DMZ). Initially, the purchase cost of this asset was reported as USD 106 million, but new figures put the actual value of the transaction for a 97.73% stake in DMZ at USD 35 million. Yaroslavsky’s DCH Group is one of Ukraine’s largest business groups with a twenty-year history of activities in a range of sectors and a strong growth dynamic in recent years. In the financial sector, Yaroslavsky was instrumental in the development of UkrSibbank prior to eventual sale to BNP Paribas. More recently, DCH Group has acquired major Ukrainian insurance market player INGO. Other flagship acquisitions include Ukraine’s industrial icon the Kharkiv Tractor Plant. Yaroslavsky is particularly well known for investments in his native Kharkiv region, which are believed to total over USD one billion. 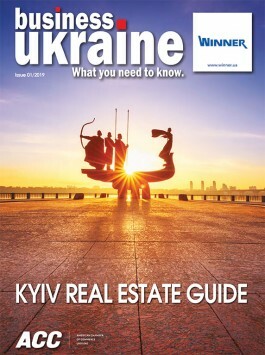 His most prominent Kharkiv region investments came during efforts to prepare Kharkiv for its role as one of four Ukrainian host cities during UEFA’s Euro 2012 football championship. The USD 300 million invested by Yaroslavsky in the city’s Euro 2012 preparations included construction of a brand new five-star hotel and the complete renovation of Kharkiv’s football stadium and international airport.